BEDBUGS - GERMADIC PEST CO.
GerMadic Pest Co. has successfully worked hand in hand with Kansas families through the process of removing bedbugs from their home. We will offer the same helping hand towards you. 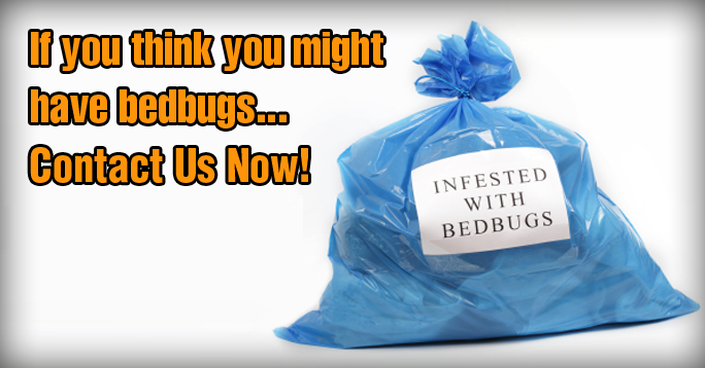 We understand the stress and confusion that can come with bed bugs. First thing to understand about bed bugs; they don't discriminate against any population or demographic. They are found all over the world, and in all types of homes. GerMadic Pest Co. has the experience necessary to safely and effectively remove bed bugs from your home or facility. What sets us apart is our 90 Day Guarantee! GerMadic Pest Co. is 100% confident we can warranty our work. The smaller the infestation, the easier it is to extract this bug out of your home. Knowing the symptoms of a bed bug infestation is your 1st line of defense. Why Are They So Hard To Get Rid Of? ​​A lack of public understanding; Few people know enough about bedbug biology and behavior to control the pests effectively. Whats The 1st Steps A Person With Bedbugs Should Make? Don’t abandon the bedroom. Instinct says flee, but logic says stay. Leaving the bedroom will cause the bedbugs to spread throughout the house as they hunt for food (aka you), turning a little problem into a big one. Don’t throw away the bed. Chances are not all the bedbugs are living inside the mattress, so throwing that bed away is a lot of expense with little reward. The bedbugs that are in the mattress can be scattered throughout the house as you drag the mattress away. Don’t release a fogger. The little bomb will kill the ones in the center of the room, but the ones who live on the outskirts, like in the walls, will simply scatter throughout the house. The Best Part? Our Up Front Pricing & 90 Day Guarantee! Thinking About Buying "Over-The-Counter" Bed Bug Treatment? In a D.I.Y. world its easy to try over-the-counter chemicals. Let GerMadic Pest Co. save you time and money. Our service Includes treatment and a 14 day follow up treatment. Works on ALL stages of bed bugs including eggs. minimum down time for most as little as (4) hours. 90 days Guarantee If they come back we come back. Please note: GerMadic Pest Co. will never sell you a service unless we're 100% confident we can warranty our work.